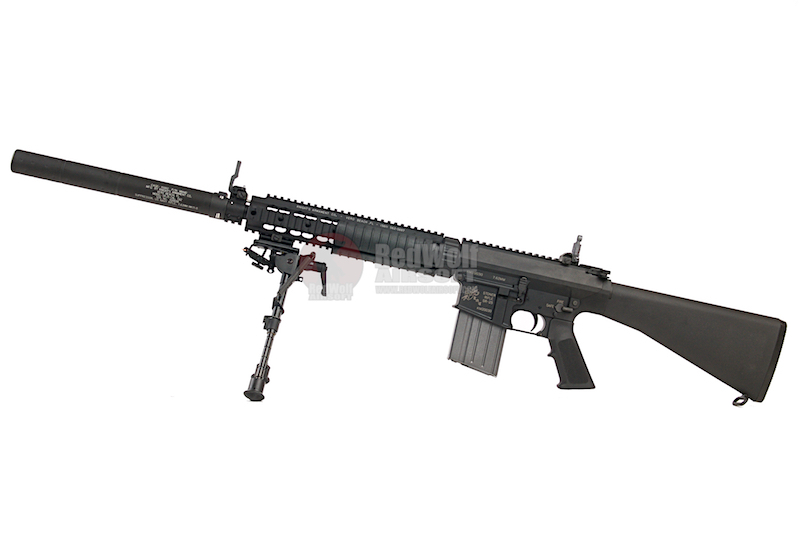 The VFC SR25 GBBR is fully licensed by Knights Armament so you could expect to have the full authentic markings and have the closest detail to the real on. 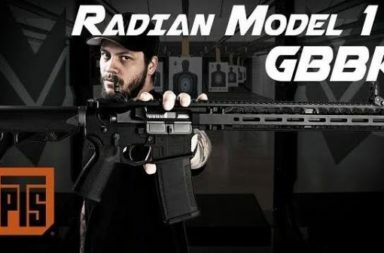 If you´re looking for a Christmas gift (maybe for yourself), the MK11 MOD0 could be your choice and Redwolf Airsoft the premium shop to get it. The SR 25 rifle (Stoner Rifle, model 25) was developed by Reed Knight (owner of Knights Armament Co) and Eugene Stoner (designer of M16 and Stoner 63 rifles among other things) during early 1990s. 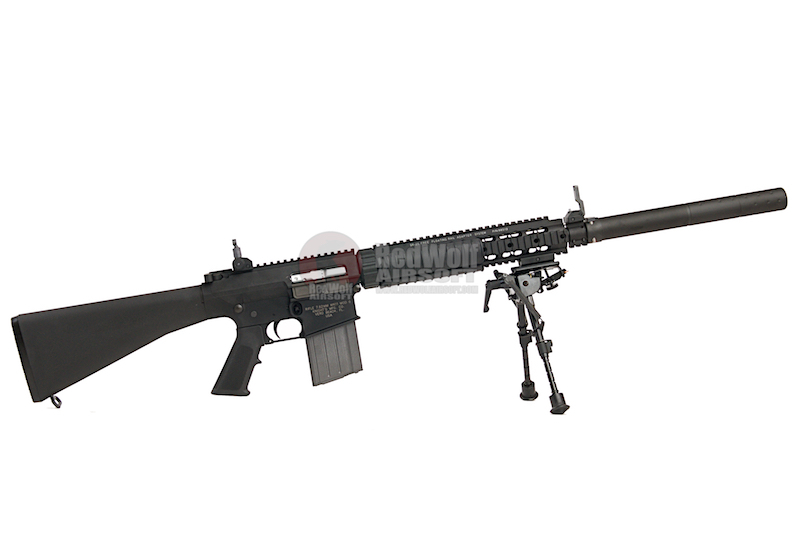 In essence, the SR 25 was the AR-15 rifle scaled up to shoot 7,62×51 / .308 Win ammunition, with up to 60% of parts of new rifle being interchangeable with standard AR-15 components. This rifle sold well among civilian shooters who needed an accurate semi-automatic rifle in 7,62 / .308 caliber for hunting or target shooting. This rifle also found a favor among US Military – during early 1990s it was adopted by US Navy SEAL groups, as Mark 11 Model 0 sniper rifle system; use of Mk.11 Mod.0 rifle was later extended to US Marine Corps. 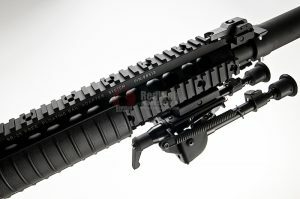 The airsoft version from VFC is fully constructed in metal with a Knights Armament SR25 quad rail in the front, polymer stock and pistol grip like the real one. 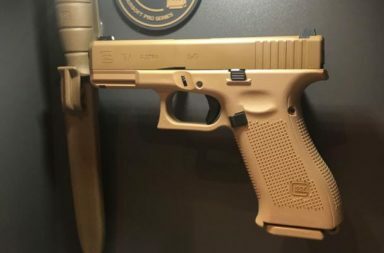 This is a gun you shall not miss. The VFC SR25 GBB is a gas blowback system that is an enlargered version of the VFC M4/ Umarex HK416 GBB system and has its own proprietary 20 round magazine. 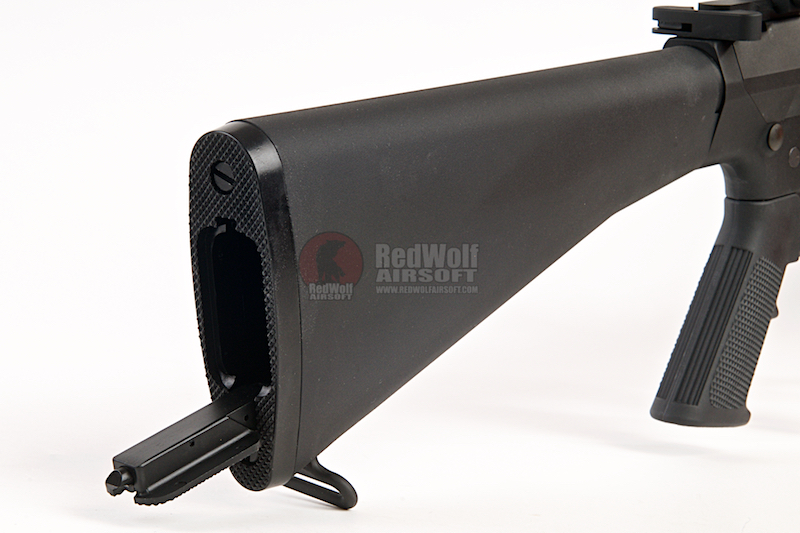 The receiver is made from forged and CNC milled Aluminium, and hard anodized to military spec. Both the free floating quad rail and charging handle are being CNC processed from Aluminium as well. 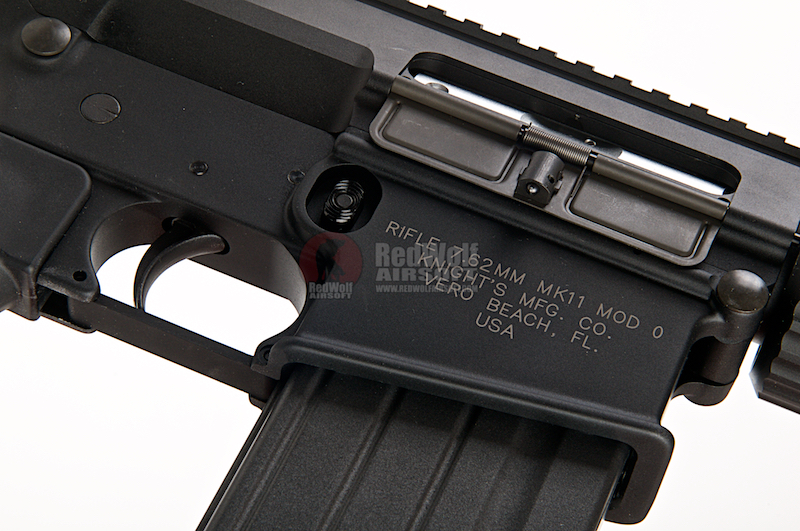 Each of the SR25 would also have flip up iron sights and unique serial numbers. 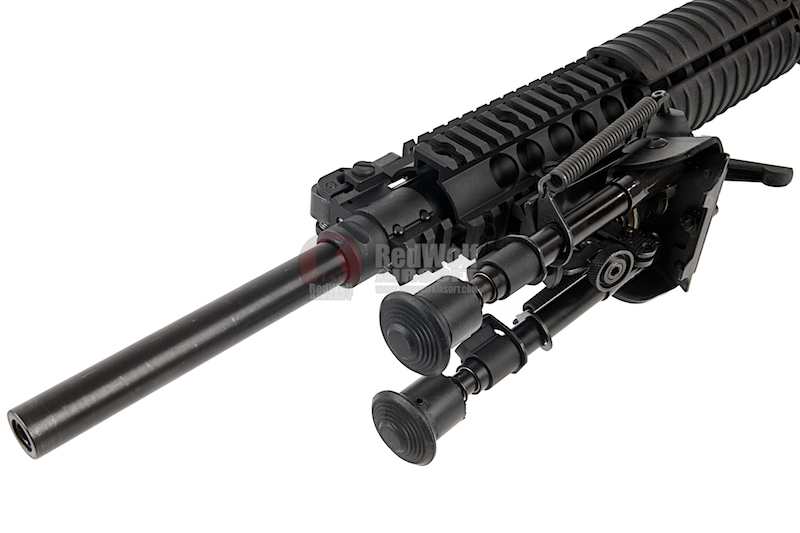 The DX version differs from the normal version with a silencer that is matching serial number with the receiver, includes a gun case, bipod adaper, a bipod, a proprietary QD silencer and 3 rail covers.